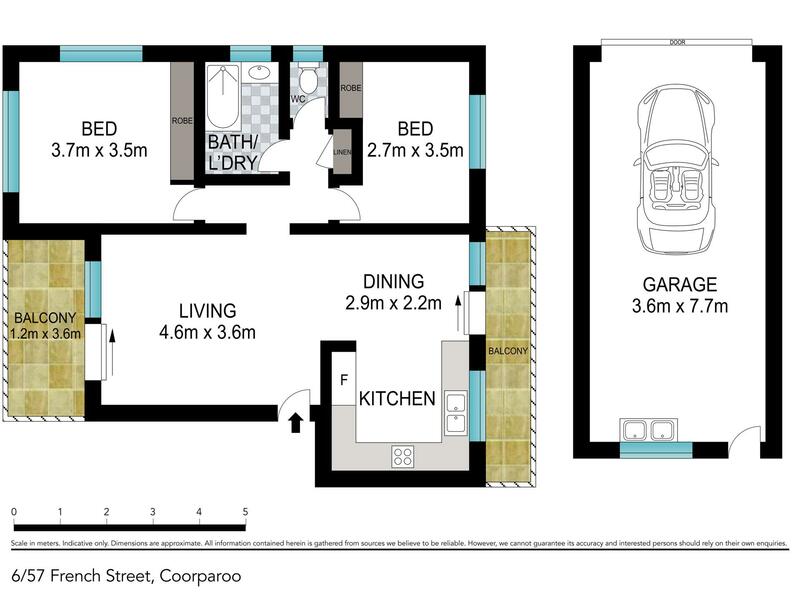 This top floor unit is located in a prime position in the heart of Coorparoo, just a few minutes walk to Coorparoo Square with shops, bars, restaurants & the new 10 cinema complex. Both bus and train transport are also just short stroll away making access to the Brisbane CBD so easy. Featuring a functional floor plan with a large dining area off the stunning kitchen with plenty of cupboards including a pantry, stainless steel appliances, gas cooktop & dishwasher. The living area is a generous size air conditioned and from the front balcony you can sit and admire the city lights at night while enjoying the cool breeze that sweeps through the unit. The main bedroom also has magnificent city views and is also air conditioned. Both bedrooms have beautiful hand crafted built-in wardrobes. The fully tiled bathroom has been fitted with heated towel rails and quality fittings & there is also a separate toilet. Plumbing is available to have the laundry upstairs in the bathroom OR down in the garage. The current owner installed Crimsafe screens on the balconies and also to the windows in the stairwell accessing the unit. Downstairs there is large lock up garage for one car & plenty of storage. The block has a security intercom system to enter the unit. Body Corporate fees of: $2,897.49 per year & the complex has a very healthy sinking fund balance.